To get notifications, you have to bookmark the threads, Ookami-Meggle & @hermitcrabcrazy. Also, if you look in recent posts, if it's a thread you've previously read & you click on the "New" icon (not the latest page number), it will take you precisely to the newest post after you were there, rather than the newest all together. Huh that is odd. It usually shows on the board that there is a new post, but it didn't until the day I posted that I didn't get notifications. It's on HCP, I do the Crabby Delights food line. Working on a new one to send in, think I'll call it "Wild Things" as it has backyard greens to include dandelion leaves and roots and blackberry leaves and roots and lots of other goodies. Oh I have bought the Crabby Delights food line from HCP!! That means I have some of your stuff at my house. 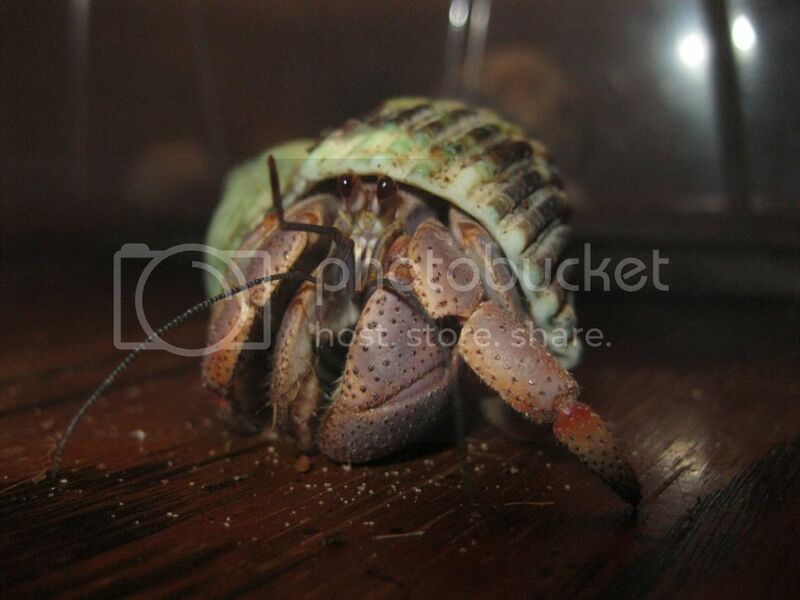 Well I just checked and all my food is from Hermit Crab Addiction at the moment. But I have bought the Crabby Delights from HCP before. I know I have bought buggy delights... is that one of yours? I like it cause i can't see the bugs, they are ground up. No I just started Crabby Delights in January of this year. Right now HCP is carrying CD oak and pecan bark, sub mix, wild things mix, protein punch, fruit bits and red crabby crunch. Working on a new one to send in soon that will have a lot of spring flowers in it. Well I went over and ordered 1 of each of your stuff except the fruit bits I needed more food, and that was the perfect excuse. Also got the much needed Spirulina while I was over on that site. They emailed today to say it has already shipped!! Do I have any of the new combos, @qdinky? I don't know what ingredients are in the CD ones as opposed to what I already have. 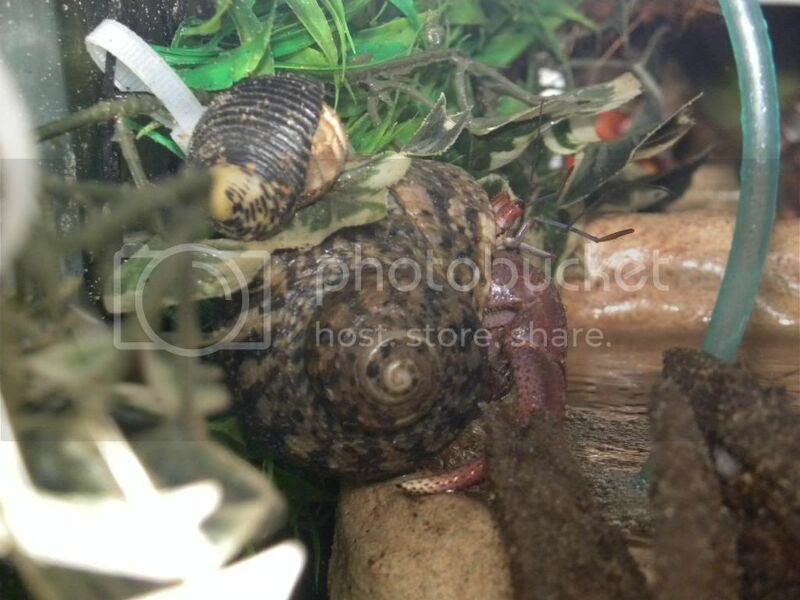 Theodora it's at the hermit crab patch, think Sach has link on home page. Sach I don't know, can't remember what I sent out, would have to go on line and compare with ingredients listed under each one. Hm... okay your stuff sounds great!!! It is hermitcrabpatch.com and as awesome as @qdinky's food is, don't you think getting some sand should come first? You can get 50 pounds of sand for around $4. I think I will try to get my dad to pick up a bag or 2 today or so. Anything you can do to get it or to earn the money so your parents don't have to pay for it, I'm sure will help. You have to remember that you are already dealing with over-crowding, having the right sub is even more crucial than usual.